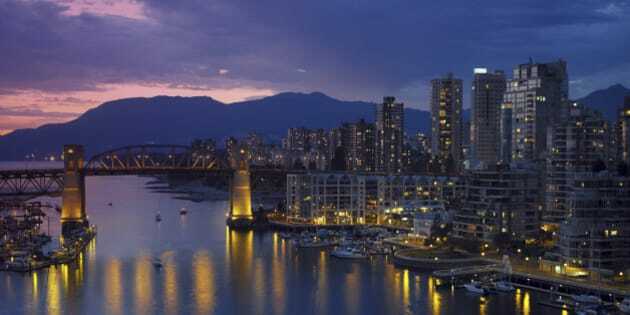 Yaletown and the Burrard Bridge in False Creek in the city of Vancouver, British Columbia in Canada. The holiday season is officially in full swing, and no celebrations are anticipated more than those held on New Year's Eve. Stuffed with Christmas ham and outfitted with fresh socks, party seekers from around the globe search for the most extravagant ways to ring in the new year. Known as the "World in a City," Vancouver's rich diversity creates some unique ways to celebrate all of the good of 2016, and anticipate the adventures offered by another year. These five New Year's Eve celebrations will provide all of the glitz and glamour you're seeking with a big dose of Vancouver's unique personality on top. Many New Year's Eve celebrations will cause you to kick off 2017 in debt. 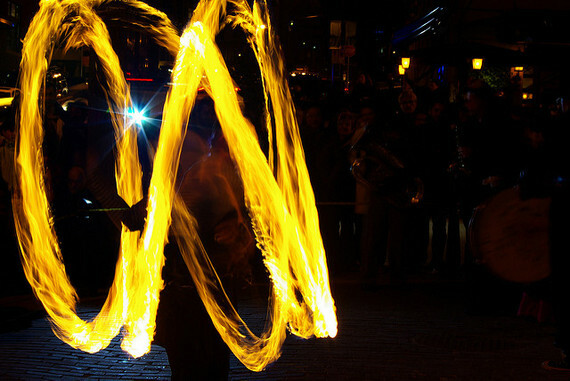 But the NYE Vancouver Celebration in downtown Vancouver is once again free and open to the public. 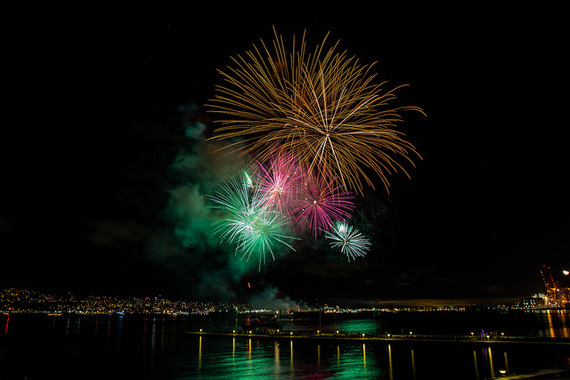 Head down to Canada Place Way for live music, food, entertainment and a countdown to an over-the-top fireworks show at 9 p.m. (great for the kids), and 12 a.m., for the night owls. Forego your usual New Year's Eve party for one that's a lot funnier this year. The Rio Theatre is a favorite Vancouver hotspot for catching films, live music, performances and so much more. This New Year's Eve, the theatre welcomes back Patrick Maliha for an evening of nonstop comedy, magic, burlesque and music. Tickets include a complimentary glass of champagne, party favors, and the opportunity to see several world renowned performers, including Wes Barker of America's Got Talent, for just $20 (in advance). There's no better way to ring in the new year than with the ones you love. 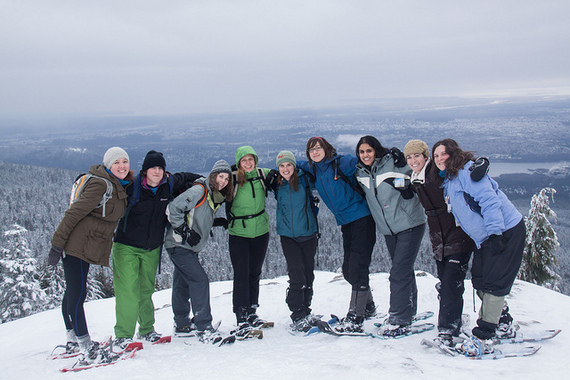 Mount Seymour's Family First Night encourages every Vancouverite to do just that. Take the 30-minute drive from downtown to nearby Mount Seymour, and you'll be taking part in the area's longest running family-friendly NYE event. Live entertainment accompanies snow tubing, face painting, tobogganing, fire pits, s'mores, and food vendors to create an atmosphere that's exciting for kids and adults of all ages. The countdown, fireworks, and party favors finale takes place at 9 p.m., so nobody has to miss bedtime. More than 1,000 party-goers can cram into the New Year's Eve celebration at the TELUS World of Science, and the event still sells out every year. Two floors of music, six DJs, nonstop live performances and five bars make this one of the most iconic annual celebrations in the city. More than 700 tickets have already been sold to the party that will take place from 9 p.m., to 3 a.m., on New Year's Eve, and the party throwers are expecting one of the biggest countdowns the city has ever seen. This landmark Vancouver event is only for partiers ages 19 and up. Celebrate Vancouver's eccentric side at The Legion's Electric Flower Circus in the Dark. Located at 2205 Commercial Dr., this black light New Year's Eve event will be loaded with DJs, contortionists, jugglers, body painting, hoopers, and several other electric performers that are guaranteed to make it a night to remember. The Electric Flower Circus in the Dark brings excitement and color back into New Year's Eve.